8:47 AM 11/13/2017 Russias Election Meddling Is Another American Intelligence Failure The New Yorker: Members of Congress should pay special attention to the F.B.I., which conducts counterintelligence in the United States but which, according to most insiders I interviewed recently, is not up to the job of detecting and countering Russian disinformation. 5:21 AM 11/13/2017 A freak accident or the premeditated act for the sake of sending the symbolic message? Analysis: Trump’s trip to Asia is over. Now what? The Kremlin, you may recall, also said the people of Hungary and Czechoslovakia wanted Soviet tanks to crush their democracy movements a half-century ago and that it was invited into Afghanistan. Far from denouncing Putin’s continuous assaults on human rights and free speech in Russia, Trump has praised him as being a better leader than Obama. “The nation-state remains the best vehicle for elevating the human condition,” Trump said, just the sort of message that dictators like Putin have been wanting to hear from the United States for decades. So much for being the leader of the free world. Contrast Trump’s behavior not just with May’s, but also that of Ronald Reagan, who was viscerally opposed to Communism and entered office determined to bring down the Soviet empire. Reagan came to believe that Mikhail Gorbachev was trying to contract, not expand, Soviet power. But he never lost sight of the Russian threat to the West and kept up the pressure even as he developed a relationship with Gorbachev aimed at keeping the world safe from Russia, not at keeping Russia safe from the world. Reagan and Gorbachev came tantalizing close in 1986 to agreeing on nuclear disarmament. Trump wants to have more nuclear weapons and has threatened to use them. Trump studiously avoids talking about human rights in Russia (and Turkey, China, Saudi Arabia and the Philippines, among others). In October, Trump’s administration waived human rights requirements and approved the sale of $5 billion sale of fighter planes to Bahrain. RED BLUFF, Calif. — A gunman killed four people and wounded a number of others at random Tuesday at multiple locations in rural Northern California, including an elementary school, before police shot him dead, authorities said. Two hospitals said they were treating seven people, including at least three children. 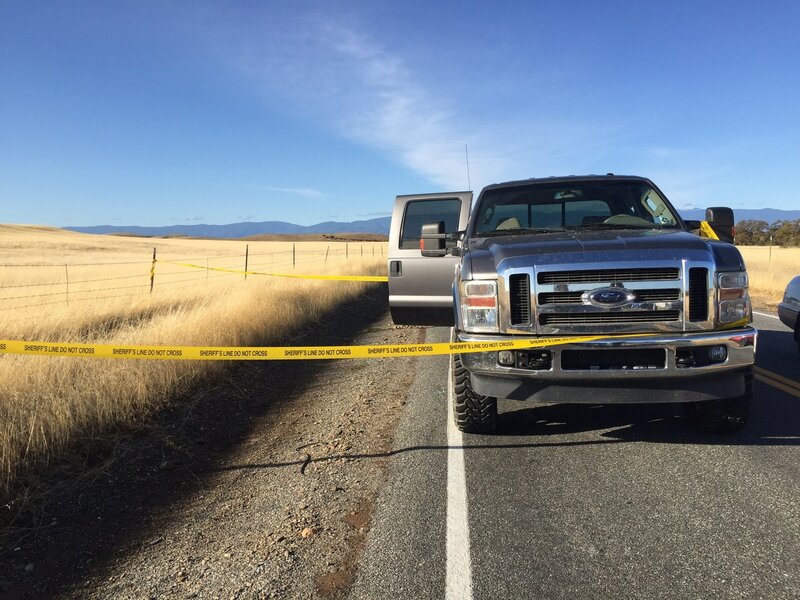 No children were killed, Tehama County Assistant Sheriff Phil Johnston said. The shooter, who has not been identified, was fatally shot by police after engaging two officers who returned fire at an intersection in the community of Rancho Tehama Reserve, about 130 miles north of Sacramento, Johnston said. “We really don’t have any idea what his motive was at this time,” Johnston said. The first calls of a shooting came in at around 7:52 a.m. and it was all over in around 45 minutes, he said. During the rampage the gunman fired into an elementary school, he said. One student was wounded at the school and another child was shot while in a car being driven by a woman, who also was wounded, Johnston said. “It was very clear at the onset that we had an individual that was randomly picking targets,” Johnston said. “Essentially, with this individual after the initial shooting, he is reportedly took a vehicle and went on a shooting rampage throughout the community,” Johnston said at an afternoon press conference. At one point the gunman crashed the first vehicle, robbed another person of his vehicle before he was shot by police. Brian Flint told the Record Searchlight newspaper in the city of Redding that his neighbor, whom he knows only as Kevin, was the gunman and that his roommate was among the victims. He said the shooter also stole his truck. Jeanine Quist, an administrative assistant with the Corning Union Elementary School District, said no one was killed at the school with kindergarten through fifth grades. The gunman shot the child in the vehicle as the child was being driven to school, Johnston said. Their vehicle passed the gunman’s and “he opened fire on them without provocation or warning,” Johnston said. The child, who was in the back seat, did not suffer life-threatening injuries but the child’s mother suffered life-threatening injures, he said. At the school, “the shooter targeted the school from outside the school and shot into the school, multiple rounds,” Johnston said. Three people were being treated at a hospital in Redding, about 50 miles north of the shootings, Mercy Medical Center spokeswoman Marcy Miracle said. She declined to provide other details about the victims or their injuries. Four others, including three children, were being treated at Enloe Medical Center in Chico, about 50 miles southeast of the shootings, hospital spokeswoman Nicole Johansson said. The gunman has a history with law enforcement, and Johnston said authorities are aware of a report that he was involved in a domestic violence incident on Monday. Brown offered their condolences to the families who lost loved ones and said they are united with all Californians in grief. Police fatally shot the attacker after reports of at least seven shooting scenes, including an elementary school, Johnston said. The violence started with an apparent domestic dispute, according to neighbors, and spread out with the suspect “randomly picking targets,” Johnston said. The Corning Union Elementary School District said part of the shooting spree occurred at Rancho Tehama Elementary School. “This is a sad day for us here in Tehama County,” Johnston said. Some students were transported to hospitals by helicopter, and others were moved to safe locations, the assistant sheriff’s said. At least one student was shot at the elementary school, and another child was shot in a truck along with an adult female, Johnston said. Three children and an adult are being treated at Enloe Medical Center in Chico, officials said. Their conditions were not available. Police were still trying to get an accurate count of the injured, Johnston said. The school district was cooperating with local law enforcement, according to its statement. No other details were available. The shooting apparently did not start at the school. The sheriff’s office said it has requested Department of Justice evidence investigation teams. The California Highway Patrol and FBI also were assisting. 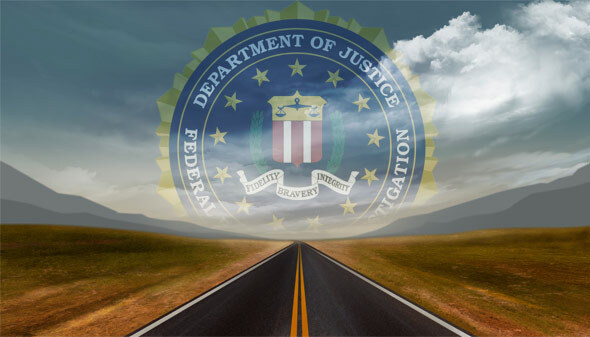 Is the FBI capable of handling the counterintelligence matters, in its present structure, and as a matter of personnel selection, their education, training, and the FBIs institutional culture? The record does not look impressive. Is there something structurally wrong? Would the new forms of the workforce organization be helpful? Should the Counterintelligence Services and Forces be grouped directly under the ODNI, and its central apparatus, and in greater collaboration with other related services? What should be the strategic directions? Rethinking, reconceptualization and the reorganization might be the more healthy alternatives to the present structure, which appears to be largely dysfunctional, for a number of reasons, still not formulated, analyzed, and comprehended properly. Critics claim that the FBIs law-enforcement structure is inadequate for twenty first century counterintelligence realities and should be replaced by a separate service staffed by counterintelligence officers, presumably with no law-enforcement powers. challenge posed by terrorism will absolutely require it to become more preventive because the FBI cannot wait for terrorists to be successful before they apprehend them. Bureau. If the FBI can make this cultural shift, it will be able to prevent and counter intelligence and terrorist threats just as well as any other organization, including MI5. And this is not to say that the MI5 is any more successful in its counterintelligence efforts (recently) than the FBI. By the way, and interestingly enough, the Russian Counterintelligence Services, starting from their very inception in 1920-s and the Operation Trust, emphasized and practiced the sophisticated and aggressive proactive and preventive approach, it was the matter of the very survival for them. It looks that their counterintelligence operations outgrew and expanded into the intelligence operations proper. The recent events might be the confirmation of this thesis, just like the recent expansion of the FSB mandate into the foreign activities and operations. How far will this approach take them eventually, and how successful it will be in the present circumstances, is very much the open question, projected into the future. This approach is the result and function of their deep historical insecurity. But it is quite effective apparently, and it should be studied, understood and comprehended, and reciprocated with the comprehensive multiplications. The resources are there, the resolve and will are needed, the qualities that apparently are lacking lately, after the ill-conceived and the counterproductive euphoria of 1990-s.
Do catch their arrows and send them back to them, with the overwhelming force and the well thought out strategic determination. To add some comments to this very good and straightforward article, in my humble opinion. This situation is further complicated by the strong suspicions that a certain, pro-Trump faction of the FBIs upper echelons, possibly represented by Kallstrom (reportedly, Trumps old childhood friend), and the Giuliani circles, reportedly very close to the New York branch of the FBI, might have been a prominent part of this conspiracy against the U.S., or the so called FBI NY branch cabal, or according to Sidney Blumenthal: Cabal Of Right-Wing FBI Agents who Took Down Hillary In A Coup DEtat. Both of them, Kallstrom and Giuliani, apparently, and again, reportedly, and assumingly, aspired to lead the FBI after Trumps win. It is also my suspicion that the FBI engineered the Abedin Weiner email affair as their sexual-political sting operation, which is an old, familiar and the favorite trick in both their own and Mr. Putins political toolboxes. In these circumstances, the question that logically and inevitably arises, is: What was the degree of cooperation between them and the Russians? This is the big and the important question, and it has to be addressed and answered. This affair led to the October 28, 2016 Letter, which in the opinion of the pollsters, now broadly accepted, did decide the outcome of the elections. The question about how the hundreds of thousands of emails (650,000) ended up on Abedin Weiner laptop, remain essentially unanswered. Who planted them their and with whose help? If you get the wind that there might have been a covert or overt collusion between the Russians and the FBI, it would be hard to accuse you of the lack of logic in your thinking. Naturally, the next set of questions that inevitably arises, is the degree of infiltration and penetration of the FBI by the Russians and the others, who worked hard on this for many years. They do have a sad history in this regard, illustrated recently by this account. See also: ANTHONY WEINER WAS THE FIRST TO TALK ABOUT TRUMPS CONNECTIONS WITH RUSSIAN OLIGARCHS, WEINERS SENTENCE IS TRUMPS REVENGE. Mr. Muellers Investigation proceeds at its pace and seems to be rather deep and comprehensive, and I think and hope that he and his team will address these issues in their customary and expected depth, and will not cover up the FBIs possible wrongdoings if any are discovered, and/or confirmed; although some observers expressed their strongly worded doubts on this account. The truth, the whole truth, and nothing but the truth. That what we need if we really want to recover and to understand what happened, starting from 1990-s, and encompassing both the 9/11, 2001 and The Elections 2016. These two epochal events do seem to be the connecting links of the same mysterious chain, as the author suggests, and as was noted by many others, of the writing and thinking public, on this subject. After weeks/months of the Hillary campaign bashing Trump for irresponsibly questioning the legitimacy of the election process, Clinton-insider, Sid Blumenthal, is apparently making the media rounds in Europe attributing her loss to a coup detat organized by a cabal of right-wing agents of the FBI in the New York office attached to Rudy Giuliani. 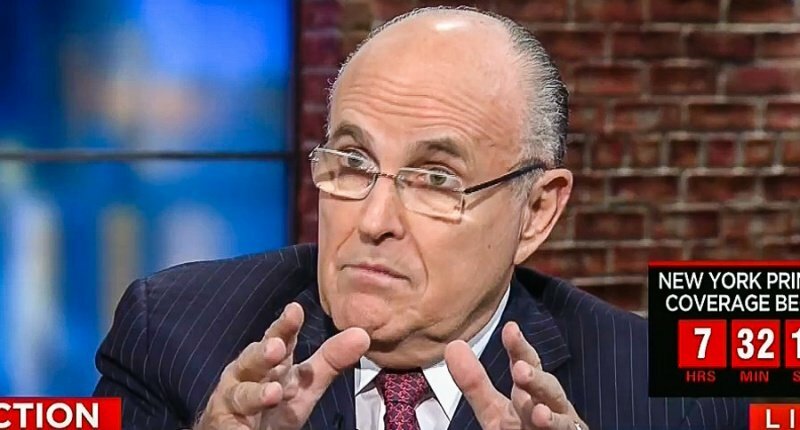 It was the result of a cabal of right-wing agents of the FBI in the New York office attached to Rudy Giuliani, who was a member of Trumps campaign. I think its not unfair to call it a coup. Yeah, a coup detat. Of course, Blumenthal is well known within Clinton world for his wild conspiracy theories as John Podesta pointed out he is lost in his own web of conspiracies. Just Security: Who in Their Right Mind Would Believe Putin? Donald Trump Jr. communicated with WikiLeaks during the 2016 presidential campaign via direct messages on Twitter, the messages advised Trump Jr. of the launch of a Political Action Committee (P.A.C.) run website that would draw attention to connections between the Trump campaign and Russia. Trump Jr. responded to the message saying that he was unaware of the P.A.C. or the website but offered to “ask around” and emailed top Trump campaign officials that WikiLeaks had made contact, Julia Ioffe reveals at the Atlantic. WikiLeaks was behind the leak of damaging Democratic Party emails during the 2016 campaign, the U.S. intelligence community concluded that WikiLeaks was acting as a conduit for Russian operatives when it published the hacked emails. Trump Jr. published screenshots of a selection of his conversations with WikiLeaks on Twitter last night and the WikiLeaks founder Julian Assange said on Twitter that he could not confirm whether his group had corresponded with Trump Jr. Michael S. Schmidt and Nicholas Fandos report at the New York Times. “Strongly suggest your dad tweets this link if he mentions us,” the WikiLeaks account wrote to Trump Jr. and included a link to hacked documents from the Clinton campaign chairman John Podesta; although Trump Jr. did not answer, shortly after the message, Trump senior tweeted about WikiLeaks and the information it had revealed about the Democratic Party. Carol D. Leonnig and Rosalind S. Helderman report at the Washington Post. The communication had been handed over to congressional investigators by Trump Jr.’s lawyers and the president’s son sought to play down his contact with WikiLeaks, referring to his “whopping 3 responses” which “one of the congressional committees has chosen to selectively leak.” Sophie Tatum reports at CNN. “The Vice President Mike Pence was never aware of anyone associated with the campaign being in contact with WikiLeaks,” Pence’s press secretary said in a statement yesterday, marking another instance where the Vice President has sought to distance himself from the investigations into Russian interference during the election campaign. Matthew Nussbaum reports at POLITICO. The C.I.A. Director Mike Pompeo’s remarks about Russian interference in the election have sought to silence former C.I.A. officers, however former officers must have the space to speak out about threats to national security. Three former C.I.A. officers – Cindy Otis, Ned Price and John Sipher – write at the New York Times. The Russian-backed R.T. television station registered as a “foreign agent” in the U.S. with the Department of Justice yesterday, the channel was described as “Russia’s state-run propaganda machine” by the U.S. intelligence agencies in a report published in January 2017. Jack Stubbs and Ginger Gibson report at Reuters. Human rights issues were largely ignored during Trump’s tour of Asia, the president has not yet mentioned the situation in Myanmar, he did not challenge Chinese President Xi Jinping’s authoritarianism or the Philippine President Rodrigo Duterte’s extrajudicial war on drugs, and his neglect of human rights reflected the approach he took when visiting leaders in the Middle East in May. David Nakamura and Emily Rauhala explain at the Washington Post. Trump stayed largely on message during the 12-day trip, which many were concerned would take its toll on the president. Jonathan Lemire and Jill Colvin provide an overview of the visit at the AP. While the trip went better than expected, and Trump’s speech in South Korea was particularly well-received, expectations were low and confusion remains over the Trump administration’s strategy in the region. Julian Borger explains at the Guardian. The six key takeaways from Trump’s trip, which ended today, are provided by Dan Merica at CNN. Trump’s Asia trip “has been at times a disaster, at times a farce,” his cozy relationship with autocratic leaders and his unbelievable comments about Russian President Vladimir Putin and Russian interference in the 2016 election reveals “what happens when a very big nation is led by a very small man.” Eugene Robinson writes at the Washington Post. The U.S.-South Korea joint military exercises currently taking place are creating “the worst ever situation prevailing in and around the Korean Peninsula,” North Korea’s ambassador to the U.N. Ja Song Nam said in a letter the Secretary-General yesterday, stating that the three U.S. aircraft carriers present were “taking up a strike posture.” The naval exercises began on Sunday and lasted for four days. Edith M. Lederer reports at the AP. It will be “realistically difficult for North Korea to completely destroy its nuclear capabilities when their nuclear and missile arsenal are at a developed stage,” the South Korean President Moon Jae-in said today, saying that negotiations could be held with all options open. Christine Kim reports at Reuters. The U.S.’s top North Korea negotiator Joseph Yun arrived in South Korea today to help ease tensions on the Korean Peninsula, Josh Smith reports at Reuters. The Senate Foreign Relations Committee will hold a hearing today on the President’s sole authority to launch nuclear weapons, the hearing coming amid concerns about the president’s bellicose approach to North Korea. Jim Acosta and Barbara Starr report at CNN. The U.S. will fight the Islamic State group in Syria “as long as they want to fight,” the Defense Secretary Jim Mattis said yesterday, saying that the U.S. military’s longer-term objective was the prevention of the Islamic State group returning and added that it was important to support a diplomatic solution to the civil war in Syria. Phil Stewart reports at Reuters. At least 53 people were killed by three airstrikes on the rebel-held town of Atareb in northern Syriayesterday according to the U.K.-based Syrian Observatory for Human Rights, it is not clear whether the Syrian government or Russia were responsible for the strikes, and the town was meant to be protected by a “de-escalation” zone. The BBC reports. Russia has not promised to ensure the withdrawal of pro-Iranian forces in Syria, the Russian Foreign Minister Sergei Lavrov was quoted as saying by the R.I.A. news agency today, Reuters reporting. The Russian President Vladimir Putin and the Turkish President Reçep Tayyip Erdogan discussed the future of Syria in talks yesterday in the Russian city of Sochi, the two countries have supported opposite sides in the conflict but the two leaders hailed their cooperation in Syria and their joint support for “de-escalation” zones. Vladimir Isachenkov reports at the AP. Before meeting with Putin, Erdogan criticized the U.S. and Russia for their approach to Syria, saying that if the two countries agreed that a military solution was not the answer, then they should withdraw their troops from Syria. Al Jazeera reports. Islamic State militants and their families were able to escape from the city of Raqqa in a secret deal that neither the U.S.-led coalition nor the Syrian Democratic Forces (S.D.F.) want to admit any involvement in, the BBC reveals. Russia said today that it has been talking to the U.S. about the U.N. Security Council renewing the mandate of the inquiry looking into chemical weapons attacks in Syria, however the U.S. has said that Russia has “refused to engage” on its draft resolution. Michelle Nichols reports at Reuters. The U.S. House of Representatives overwhelmingly voted in favor of a resolution stating that military assistance to Saudi Arabia in its war in Yemen was not authorized by the 2001 or the 2003 Authorizations for Use of Military Force (A.U.M.F.s), the vote was largely symbolic but signals frustration with the lack of scrutiny of U.S. military engagements abroad. Gregory Hellman reports at POLITICO. Saudi Arabia’s ambassador to the U.N. denied that there has been an embargo on Yemen, saying yesterday that “there are many sources of supply to Yemen” and that the restrictions were “a temporary procedure” that lasted a few days in response to the launch of a ballistic missile by Yemeni Houthi rebels at the Saudi capital of Riyadh on Nov. 4. The AP reports. A suicide bomb in Yemen’s southern port city of Aden killed at least six people yesterday, according to residents, the Islamic State group claimed responsibility for the attack. Mohammed Mukhashaf reports at Reuters. Kuwait today expressed support for Lebanon’s sovereignty and efforts to overcome the “delicate situation” that was triggered when Lebanon’s Prime Minister Saad Hariri resigned on Nov. 4 in televised comments broadcast from Saudi Arabia’s capital of Riyadh; Hariri cited the destructive role of Iran and its Hezbollah allies in Lebanon as the reason behind his decision. Reuters reports. Iran hopes that Hariri would return to Lebanon and continue as prime minister “if Lebanese laws allow,” the top adviser to Iran’s Supreme Leader Ali Akbar Velayati said today, also denying that Hariri had resigned after a tense meeting with him in Beirut. Reuters reports. An overview of the role the Iran-backed Lebanese militant Hezbollah group plays in Lebanon and the region, and Saudi Arabia’s desire to restrict its activities, is provided by Erika Solomon at the Financial Times. Saad Hariri’s announcement that he would return to Lebanon soon and Saudi Arabia’s announcement that it would reopen ports in Yemen suggest that the Saudi Crown Prince Mohammed bin Salman has been trying to “walk back” the escalations in the two countries. Zeina Karam explains at the AP. Hariri’s resignation and the ensuing crisis in Lebanon has set the stage for future confrontations in the Middle East, Ishaan Tharoor provides an analysis at the Washington Post, referring to the conflicts in Syria and Iraq, the Saudi-Iran rivalry, the complex relationships in the region and the war in Yemen. The U.N.’s International Atomic Energy Agency (I.A.E.A.) certified that Iran has not been violating the provisions of the 2015 nuclear agreement in a report issued yesterday, strongly suggesting that Iran has been honoring its commitments. George Jahn reports at the AP. The European Union has no plans to discuss new sanctions on Iran, the E.U. foreign affairs chief Federica Mogherini said yesterday, adding that the issue was not on the agenda when she discussed the Iran nuclear deal at a series of meetings in Washington last week. Laurence Norman reports at the Wall Street Journal. The Justice Department said yesterday that prosecutors are considering whether to appoint a special counsel to investigate the Clinton Foundation, an Obama-era uranium deal with Russia and other Clinton-related issues. 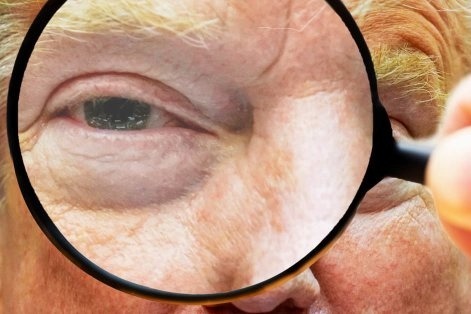 An investigation would raise questions about the impartiality of federal investigations and the role of Attorney General Jeff Sessions, who has come under repeated criticism from the president, Michael S. Schmidt and Maggie Haberman report at the New York Times. A new defense pact was agreed by 23 European Union countries yesterday in an effort to boost defense cooperation, the E.U. foreign affairs chief Federica Mogherini said that it was a historic day that meant the E.U. could develop its military capabilities to reinforce its “strategic autonomy.” Julian E. Barnes and Robert Wall report at the Wall Street Journal. Venezuela is “an increasingly violent narco-state,” the U.S. ambassador to the U.N. Nikki Haley said yesterday at an informal session that was boycotted by Russia, China, Egypt and Bolivia and denounced by Venezuela’s U.N. ambassador. Edith M. Lederer reports at the AP. The U.K. Prime Minister Theresa May accused Russia of meddling in elections and spreading disinformation in a speech yesterday, saying that Russia has attempted to undermine western democracies and that the U.K. would do “what is necessary to protect ourselves, and work with our allies to do likewise.” Rowena Mason reports at the Guardian. At least 22 police officers were killed in a Taliban attack in Afghanistan’s southern province of Kandahar, officials said today, Reuters reporting. Saudi Arabia, U.A.E., Egypt and Bahrain show no signs that they want to reach a solution to the Gulf crisis, Qatar’s Emir Sheikh Tamim bin Hamad al-Thani said today, referring to the Saudi-led bloc’s isolation of Qatar on June 5 due to its alleged support for terrorism and ties to Iran. Reuters reports. Palestinian officials rejected a report by an Israeli new outlet that claimed that Saudi Arabia had ordered the Palestinian Authority leader President Mahmoud Abbas to accept U.S. peace efforts or resign, a spokesperson for the Fatah party saying that the Palestinian position and the Saudi position are “aligned.” Al Jazeera reports. Trump’s latest travel ban partially went into effect yesterday after a ruling by the U.S. appeals court in California, Lawrence Hurley reports at Reuters. Feminists saved the 42nd president of the United States in the 1990s. They were on the wrong side of history; is it finally time to make things right? The most remarkable thing about the current tide of sexual assault and harassment accusations is not their number. If every woman in America started talking about the things that happen during the course of an ordinary female life, it would never end. Nor is it the power of the men involved; history instructs us that for countless men, the ability to possess women sexually is not a spoil of power; it’s the point of power. What’s remarkable is that these women are being believed. Most of them don’t have police reports or witnesses or physical evidence; many of them are recounting events that transpired years—sometimes decades—ago. In some cases, their accusations are validated by a vague, carefully couched quasi-admission of guilt; in others they are met with outright denial. It doesn’t matter. We believe them. Moreover, we have finally come to some kind of national consensus about the workplace; it naturally fosters a level of romance and flirtation, but the line between those impulses and the sexual predation of a boss is clear. Why Can’t Addicts Just Quit? In some cities, heroin addicts have access to treatment, but many are still using. Now, Seattle is poised to open a safe-injection facility for those who just can’t stop. So why can’t they? SEATTLE—Mere blocks from the tourists swarming Pike Place Market, Stacy Lenny pointed out the tradecraft of some of her drug-dealing clients: “There’s Todd with a wheelchair—that’s good camo for a drug hustle,” she said, nodding toward one man sitting on the corner and dealing crack out of his motorized scooter. “Missy has a lot of drugs in that bag,” she said, about another woman passing by. A 50-year-old mom with short, gray hair and bright-blue glasses, Lenny is a harm-reduction recovery specialist with a program called REACH. The job involves driving around Seattle finding homeless drug users, befriending them, and trying to help them with their health and housing problems. Lenny and I drove south of the city together, down roads lined with RVs and strewn with trash. Seattle has lately been strained by both rising homelessness and heroin addiction. Last year, a record 359 people died in Seattle from drug overdoses. The majority of them involved opioids—heroin or prescription painkillers. It’s minuscule, cumbersome, and easily avoided. It’s also a symbol of Washington’s approach to dynastic wealth and the American Dream. The estate tax, which the House GOP bill would repeal and the Senate GOP bill would cut, is a microcosm of a long economic debate in the United States. One must emphasize here the prefix micro in microcosm. Revenues from the estate tax, which only applies to inheritances worth more than $5.5 million, will account for about $20 billion this year in federal revenues. That’s approximately one-half of 1 percent of the Treasury’s annual haul. Compared to total federal spending, it’s nothing. But compared to nothing, it’s $20 billion. And the tax code is more than a ledger. It is a national statement of values. And so this little law inspires a great commotion during each tax debate. To its opponents, it is the ultimate (literally) punishment on success and an affront to the family legacy that each striving individual hopes to leave. To its supporters, it is a necessary bulwark against inherited plutocracy, which offends the national virtue of merit over privilege. Second Life was supposed to be the future of the internet, but then Facebook came along. Yet many people still spend hours each day inhabiting this virtual realm. Their stories—and the world they’ve built—illuminate the promise and limitations of online life. Saudi Arabia appears ready to sacrifice the country in its reckless bid to confront Iran. In the Middle East, the parlor game of the moment is guessing whether Saad Hariri, Lebanon’s prime minister—or is it ex-prime minister?—is literally, or only figuratively, a prisoner of his Saudi patrons. In a stiff interview from an undisclosed location in Riyadh on Sunday, Hariri did little to allay concerns that he’s being held hostage by a foreign power that is now writing his speeches and seeking to use him to ignite a regional war. He insisted he was “free,” and would soon return to Lebanon. He said he wanted calm to prevail in any dispute with Hezbollah, the most influential party serving in his country’s government. Since Hariri was summoned to Saudi Arabia last week and more or less disappeared from public life as a free head of state, rumors have swirled about his fate. On November 4, he delivered a stilted, forced-sounding resignation speech from Riyadh. Michael Aoun, Lebanon’s president, refused to accept the resignation, and Hezbollah—the target of the vituperative rhetoric in Hariri’s speech—deftly chose to stand above the fray, absolving Hariri of words that Hezbollah (and many others) believe were written by Hariri’s Saudi captors. The nation’s current post-truth moment is the ultimate expression of mind-sets that have made America exceptional throughout its history. When did America become untethered from reality? I first noticed our national lurch toward fantasy in 2004, after President George W. Bush’s political mastermind, Karl Rove, came up with the remarkable phrase reality-based community. People in “the reality-based community,” he told a reporter, “believe that solutions emerge from your judicious study of discernible reality … That’s not the way the world really works anymore.” A year later, The Colbert Report went on the air. In the first few minutes of the first episode, Stephen Colbert, playing his right-wing-populist commentator character, performed a feature called “The Word.” His first selection:truthiness. “Now, I’m sure some of the ‘word police,’ the ‘wordinistas’ over at Webster’s, are gonna say, ‘Hey, that’s not a word!’ Well, anybody who knows me knows that I’m no fan of dictionaries or reference books. In Japan, you can pay an actor to impersonate your relative, spouse, coworker, or any kind of acquaintance. Money may not be able to buy love, but here in Japan, it can certainly buy the appearance of love—and appearance, as the dapper Ishii Yuichi insists, is everything. As a man whose business involves becoming other people, Yuichi would know. The handsome and charming 36-year-old is on call to be your best friend, your husband, your father, or even a mourner at your funeral. In the days since the revelations about Louis C.K.’s harassment and sexual misconduct toward other comedians and colleagues (which he admitted to in a statement), it’s been jarring to see how quickly much of the art he made has taken on a different, more disturbing, animus. His stand-up, which was always brutally frank and sexually explicit, openly referenced his compulsive masturbation habits. His critically acclaimed FX show Louie feels grimmer, particularly the episode in which he clumsily forces himself on his friend. C.K.’s new film, I Love You, Daddy, which may never be released, sounds horrifying when its plot is described. It’s not like fans, or critics, were unaware of C.K.’s tendency to unveil his darkest urges on stage and on screen. The difference, really, is that his art now feels like a smokescreen, less truthful and even more self-involved. C.K. is one of the most influential comedians of his generation, at the forefront of the “confessional” comedy genre that thrived on so-called naked honesty. But the depravity of his personal and professional behavior—masturbating in front of women—should serve as a reminder that his performances were often exactly that: a way to control the narrative about himself. The first thing you notice when you walk into the office of Lever Architecture, in Portland, Oregon, is the smell: fresh, sweet, and vaguely Christmassy. That’s because Albina Yard, the year-old building that houses the office, was built out of fragrant Douglas fir. “It’s a space people immediately respond to on an emotional level,” says Thomas Robinson , Lever’s founder and the building’s architect. Robinson is a pioneer in designing tall buildings that use wood, not concrete or steel, to bear their weight. Albina Yard is only four stories, but it’s the prelude to a more ambitious project: Framework , a 12-story mixed-use tower that will soon rise in Portland’s Pearl District. When it’s finished (likely in 2019), it will be the country’s tallest human-occupied all-wooden structure. Progressive advocates have been urging people to give up K-Cups for years. Over the last 24 hours, fans of the talk-show host Sean Hannity have taken to destroying Keurig coffee-pod machines. In what’s being called the “Keurig Smash Challenge,” many people have posted videos online of aggressive destruction. At least one person did so with a golf club. Norilsk, Russia. Population 177,000. It’s the northernmost city in the world—and one of the most deadly. The ex-wife of the highest-ranking American member of ISIS reckons with her extremist past and attempts to build a new life. Tire Machet is a mysterious martial art practiced by a select few. Facing one of the clearest domestic threats in a decade, the intelligence community did not warn the American public of Russia’s online disinformation campaign. After failing to detect and stop Al Qaeda’s 9/11 attack sixteen years ago, Congress more than doubled the budget of American intelligence agencies and gave them unprecedented secret authorities. As the intelligence beat reporter for the Washington Post at the time, I watched these agencies grow in size, as dozens of new buildings appeared around the Washington region to house a ballooning workforce of over a million people with top-secret security clearances. The National Security Agency obtained permission to collect and store the private Internet correspondence and cell-phone data of millions of Americans. The F.B.I. was granted the power to obtain citizens’ banking, library, and phone records without court approval. The C.I.A. opened secret prisons abroad where they tortured terrorist suspects. Local police departments began employing military-grade weapons, armored vehicles, and cell-phone-tracking devices. All these measures, and many more, were put in place in the name of national security. 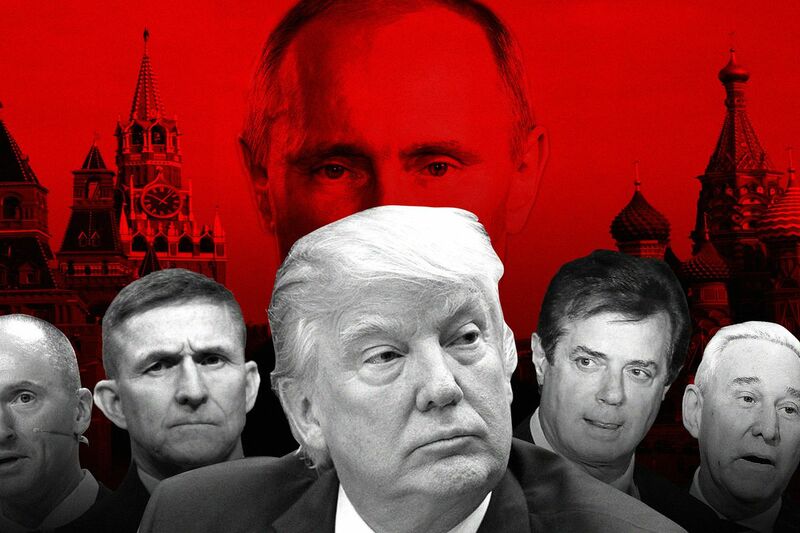 And yet, last year, these vastly larger agencies failed to defend, or even warn, the American public against the most audacious Russian covert operation toward the United States since the end of the Cold War. Only after the fact, when a Russian disinformation campaign had already tainted the 2016 Presidential election, did the Office of the Director of National Intelligence, another vast post-9/11 creation, disclose the Kremlin’s interference. The unclassified January, 2017, report, made public by the O.D.N.I., included only the thinnest of evidence, leaving many people wondering if it were true. Whether the Russian campaign actually changed the outcome of the election is impossible to know, but it clearly succeeded at exacerbating political divisions in the United States and undermining the credibility of the results. Unlike 9/11, the Russian campaign did not occur without warning on a quiet fall day. Rather, it unfolded over at least six months on Americans’ social-media accounts—hardly the stuff of spy novels. Kremlin leaders had signalled their plans years in advance. The Russian playbook wasn’t a secret, either. It had been well documented by European governments, researchers, and journalists after the Kremlin’s information operations to destabilize Estonia, in 2007; Georgia, in 2008; Ukraine, in 2014; and Britain, in the leadup to the 2016 Brexit vote. Facing one of the clearest domestic threats to the U.S. in a decade, neither the F.B.I., which has the responsibility for conducting counterintelligence inside the United States, nor the O.D.N.I. warned Americans that platoons of Russian-backed automated “bots” and human trolls were working online to amplify racial divisions and anti-government conspiracy theories. The F.B.I. deputy director, Andrew McCabe, admitted in a CNBC interview on October 4th that the U.S. intelligence community “should have predicted” the attacks “with more clarity, maybe, than we did.” “When you overlay these attacks onto what we’ve known on our counterintelligence side about the Russians for many years, it completely fits into their playbook,” he went on. “This ability to insert themselves into our system, to sow discord and social and political unrest, is right up their alley, and it’s something we probably should have seen.” In a recent interview, a senior intelligence official who was given permission to speak with me, agreed. “He’s spot-on,” the official, who asked not to be named, said of McCabe. Among the first to document Russia’s online disinformation tactics was Olga Yurkova, a thirty-two-year-old journalist who recently graduated from the National University of Kyiv-Mohyla Academy School of Journalism. On March 1, 2014, Yurkova watched on television and online as armed men in unmarked uniforms occupied Crimea. Russian media named them “polite people.” Yurkova and her university colleagues, steeped in previous Russian disinformation operations in the Baltics and elsewhere, knew better. “Their lies were so blatant that all Ukrainian journalists were speechless with shock,” Yurkova told me from Kiev. “As responsible journalists, we had to do something with this.” The following day, Yurkova created a Web site called StopFake.org, which is dedicated to debunking fake news and identifying Russian disinformation. The article announcing the launch of the site, and its mission, was shared thirteen thousand times on Twitter within two hours, Yurkova told me by e-mail. Readers quickly began sending in bogus stories, and soon were even trying to debunk articles themselves. Every day, StopFake’s team combed Russian- and English-language media for suspicious content. They checked the veracity of sources cited, the accuracy of translations, the validity of numbers and statistics, and the authenticity of photos and videos. Sometimes, they made phone calls to people quoted in a story, or cross-checked facts with laws and regulations. It often took weeks to refute false articles with convincing evidence. “We have been working for three years to inform very diverse people about why they should consider this problem, how they can reduce the impact of propaganda, and what are the possible ways of countering propaganda as a phenomenon,” Yurkova said. Although StopFake now publishes in eleven languages and has thirty employees, the organization still operates on a shoestring budget: two hundred and twenty-five thousand dollars in 2016, compared to an over-all U.S. intelligence budget of seventy billion dollars. StopFake doesn’t have an office, and, to save money, all of its workers use their personal computers and communicate via Facebook. Another research center whose work is public is the Strategic Communications Centre of Excellence, a NATO-affiliated organization housed in a boxy white building, which I visited last spring in Riga, Latvia. The center’s 2014 report on Russia’s campaign against Ukraine identified the same themes that the Kremlin would use against the United States two years later. “Russia media has systematically cultivated a feeling of fear and anxiety,” the report found. The Presidential Administration, a Kremlin office under the direct authority of Vladimir Putin, “controls a large number of bloggers and trolls in the social media to spread information supporting Russia’s narrative and to silence opponents.” The report said that the bloggers use false personas and identities to flood Facebook and Twitter discussions. Another analyst who publicly identified Russian disinformation tactics more than two years ago is the former journalist Ben Nimmo, now an Edinburgh-based propaganda expert and senior fellow at the Atlantic Council’s Digital Forensic Research Lab. Nimmo first noticed Kremlin-linked social media interfering in Western democratic processes during the 2014 Scottish independence referendum, and he says that they remain active in the U.S. today. “The structures that are in place are still operating,” Nimmo said. The hundreds of fake accounts that Facebook and Twitter recently identified as Russian-created, he warned, “are like cannon fodder. The Russians use them and just throw them away and create new ones.” Yet the intelligence community remains silent, as if the Russians had gone away. None of the work of these non-government researchers is conducted using surveillance systems, supercomputers, or subpoena power. Nothing the public researchers do is classified. And that is precisely the problem. Government analysts have always viewed open-source information, or OSINT, as it is called in the intelligence world, as a poor substitute for classified information. Intelligence officials often dismiss the importance of public pronouncements by foreign leaders, actions recorded by journalists, data collected by university professors, and discussions at open conferences. It is a decades-old problem. In 2002, the practice helped blind U.S. intelligence officials to the International Atomic Energy Agency’s evidence that Iraq did not actually possess weapons of mass destruction. In 2010, it blinded them again to the Arab Spring revolutions brewing across the Middle East. Devaluing OSINT has become a more significant problem as Russia and China use social media as an arena to wage disinformation operations. The senior intelligence official I interviewed expressed the same concern. “I don’t think we’ve seen a change at all in Russian activity,” she told me. “They are still trying to use race, religion, Democrats, Republicans, E.U., NATO issues as a division. They are still on social media in every way. There’s no change.” The official expressed worry because there has been no intense public debate in the United States, as there has been in the Baltics and Ukraine, about how to respond to Russian disinformation. “I don’t think we’ve been through the same national conversation as Ukraine and other countries to say we will use everything we can to defend against it,” she said. To see the ongoing Russia disinformation campaign for myself, one day in late September, I went to the Alliance for Securing Democracy’s new public dashboard of trending stories on six hundred Kremlin-oriented or -influenced Twitter accounts. That day, they included claims that the United States is helping ISIS in Syria, conspiracies about the Las Vegas mass shooting, and an attack on the actor Morgan Freeman for launching the Committee to Investigate Russia. The Freeman post—with the headline “Morgan Freeman Psy-Op Proves How Desperate the Deep State Has Become,”—was the most popular. The 9/11 attacks were followed by a cascade of investigative journalism, congressional committees, and special panels that uncovered damning evidence of the I.C.’s failure to detect the plot and warn the public beforehand. This pattern could repeat itself soon in the Russian debacle. It doesn’t matter that President Trump believes that the allegations are a hoax perpetrated by the media and Democrats. It doesn’t matter that he believes Putin when the Russian leader told him this weekend that he did not meddle in the American elections. It doesn’t matter because the press and Congress are still free to do what they are empowered and protected by the Constitution to do—hold the executive branch accountable. To avoid long drawn-out investigations and the wasting of even more time, the I.C. should remember two of the most important lessons that emerged after 9/11: it is unwise to conceal the truth and to pretend that all is well. Instead, the director of National Intelligence, Daniel Coats, one of the few members of the Trump Cabinet whose reputation for independence is still intact, could quickly deliver to the public the details of the Russian disinformation effort—minus only the most perishable sources and methods. He could commission educational materials, like those on StopFake’s Web site, that help the public spot online disinformation. He could disclose to Congress the weaknesses in the I.C.’s capabilities, and make the case for rearranging resources to combat this not-so-new threat. Members of Congress should pay special attention to the F.B.I., which conducts counterintelligence in the United States but which, according to most insiders I interviewed recently, is not up to the job of detecting and countering Russian disinformation. San Diego building inspectors are still trying to determine how a stairwell at an indoor gym in the Barrio Logan community collapsed Saturday night, injuring more than two dozen people, most of whom were children. The incident occurred about 7:40 p.m. at Vault PK on Main Street near Sigsbee Street, a large warehouse that shares space with a paintball facility and Crossfit gym, officials said. Vault PK specializes in parkour, a physically demanding sport that requires athletes to navigate military-style obstacle courses. The accident occurred in the midst of an open gym night for ages 5 to 14, according to the gym’s website. Twenty-one children and two adults, ages 72 and 46, were taken to various hospitals with moderate to minor injuries. Three or four of the victims suffered spinal injuries when a 10-by-30-foot wooden platform collapsed on them, said San Diego Fire-Rescue Deputy Chief Steve Wright. “It could have been much worse,” he said. The patients were taken to Rady Children’s Hospital, Scripps Mercy, Sharp and UC San Diego Medical Center, Wright said. There were additional people with minor injuries who left on their own, rather than by ambulance, he said. Zachary Smith, who was there with his son for a birthday party, said he was standing on the platform, which he described as a viewing area, along with about 30 others, when the staircase below collapsed, causing the platform to topple. He fell onto a young girl but neither was seriously hurt, he said. Smith’s son was also on the platform at the time but suffered only minor scrapes. “It was a freak accident,” Smith said, adding that he believes it could have been avoided because the structure did not appear to be built to hold such weight. Smith said the collapse sparked chaos with parents scrambling to find their children amid the debris. One parent who did not provide his name said the stairwell collapsed after so many children were running up and down to get pizza. Many parents were likely using a Groupon that had been offered for the evening’s open gym, he said. Joe Saari said that when he and his wife dropped off their two children for a few hours, there were 100 to 150 kids at the warehouse, which includes trampolines and bouncy houses. The couple were heading back home to Chula Vista when one of their children called and said there had been an accident. His kids suffered minor scrapes, Saari said. A woman said her 13-year-old son was unhurt but “devastated” by the traumatic scene. She said she went inside to get him out and saw one child with blood all over his face. At Total Combat Paintball, which shares the facility with the gym, the day began normally before the accident. “It was business as usual until we heard a loud boom come from the gym, at which point our staff and some customers ran over to the gym to help any way we could,” the company said in a statement. An hour after the incident, the street around the warehouse was lined with ambulances and fire trucks, some leaving with victims inside and yet still more emergency vehicles arriving. One woman stood on the sidewalk, holding an ice pack over one eye while she talked on her cellphone. Children huddled nearby in groups, some with parents. San Diego police corralled the children and matched them up with parents as they arrived. City building inspectors were on the scene Sunday to investigate the cause of the collapse. 3:20 p.m.: This article was updated with more comments from witnesses and fire officials. 9 a.m., Nov. 12: This article was updated with new comments from witnesses and fire officials. 11:05 p.m.: This article was updated with new information from San Diego fire officials. 10:30 p.m.: This article was updated with new information from San Diego fire officials. On this edition for Sunday, Nov. 12, President Trump arrives in the Philippines, his last stop on a five-nation Asia tour. Also, researchers in Hawaii, already a state leader in renewable energy, are using ocean waves to make electricity. Megan Thompson anchors from New York. Former FBI director James B. Comey has been somewhat active on Twitter over the past month, mostly tweeting nature photos and avoiding anything blatantly political. Last week, when White House Chief of Staff John Kelly claimed that the Civil War resulted from “a lack of ability to compromise,” he engaged in one of America’s most cherished pastimes: whitewashing history to coincide with a narrative that both sides of a particular conflict had worthy arguments, and the real tragedy was their inability to come to a mutual understanding. Indeed, if not for his history of commanding Department of Homeland Security officials to generalize immigrant populations as criminal, and his ill-considered feud with African-American Congresswoman Frederica Wilson, General Kelly’s behavior could be viewed as largely a product of the education he received growing up. Until the 1970s, U.S. history textbooks across the country routinely referred to the Civil War as the “War Between the States” and depicted secession and Reconstruction as equally egregious mistakes. While it’s now easy to recognize the folly in portraying both sides of the Civil War as noble and just, we have continued to advance narratives that favor American mythology over uncomfortable truth—none more pervasive than the dogma that voters who supported President Trump did so because of “economic anxiety.” The theory goes that Trump was the only politician to speak to the working class’s financial fears, exacerbated by the daunting forces of globalization, immigration and mechanization. This ignores Trump’s overt sexist and racist appeals during the campaign and repackages them as legitimate economic grievances. In this world, it wasn’t Trump’s conflation of Mexican immigrants with rapists that motivated his supporters; it was his criticism of the North American Free Trade Agreement and the Trans-Pacific Partnership. But this is a bunch of malarkey. Post-election surveys and exit polls tell a much different story of the voting habits of the working class. For instance, it is not well-known that the typical Trump supporter was actually much better off financially than the average American. The median household income of a Trump voter during the primary was $72,000—considerably higher than the median American household income of $56,000, and roughly $11,000 more than the median family income for Bernie Sanders and Hillary Clinton supporters. This trend repeated in the general election, when Trump won more of the voters making $50,000 to $250,000 or higher in a year than Clinton did, and Clinton won more of the voters earning less than $50,000 than Trump did. A Public Religion Research Institute study found that white working class voters in the worst financial shape were actually 1.7 times more likely to support Clinton than Trump, virtually disproving the myth of economic anxiety and suggesting that Trump supporters were more likely to be suburban investment bankers than rural coal miners. So, what compelled voters to support Trump if not for financial reasons? In a post-election study, University of Massachusetts political science professors Brian Schaffner, Matthew MacWilliams and Tatishe Nteta found that voters who denied the presence of racism in the United States were more likely to vote for Trump than those who acknowledged its presence by a 60 point margin, and those who expressed sexist views were more likely to vote for Trump than those who did not by a 20 point margin. All in all, the authors remarked that economic variables “were dwarfed by the relationship between hostile sexism and denial of racism and voting for Trump.” In a similar vein, political scientist Philip Klinkner found that the most predictive question to determine if a white person supported Trump in the primary was not their pessimism on the economy or free trade deals, or even their partisan identification, but if they thought President Barack Obama was a Muslim—a unique falsehood levied against the first Black president and used as political fodder by Trump. Racial animus was the single most potent factor in the 2016 election. There is an inherent danger in telling one dominant story to communicate the intentions of millions of people. Of course not all Trump supporters are racist or sexist—many even have legitimate economic concerns. But to suggest that these factors played no part in Trump’s ascendance is not only willfully ignorant; it’s disingenuous. The stories we tell about ourselves have meaning. They help to communicate our history and intentions, and most importantly, how we perceive ourselves. It is up to us, then, to tell them honestly and in good faith, and not cast aside difficult conversations for convenient lies. Matt O’Malley is a Collegian contributor and can be reached at <a href=”mailto:momalley@umass.edu”>momalley@umass.edu</a>. You may not know their names, but the world’s Little Known Billionaires wield a hidden economic clout. Read more of this OZY original series. There’s a saying that goes “Other countries have the mafia; in Bulgaria, the mafia has the country.” Many Bulgarians may reject the notion, but from the look on his face, whether in photographs or the rare interview, Vasil “the Skull” Bozhkov, supposed mafia kingpin and Bulgaria’s richest man, doesn’t disagree. Often shown smirking or reclining with a cigar, Bozhkov, an entrepreneur with an estimated net worth of $1.5 billion, gives off an air of impervious and unbridled power. The origin of the nickname is unknown, but glance at a leaked 2009 report on Bulgaria’s most wanted criminals prepared by U.S. Chargé d’Affaires John Ordway, and you’ll find a colorful cast of Bulgarian mob bosses, including the Beret, Big Margin, the Chicken and the Billy Goat. Perhaps Bozhkov is known as the Skull because of his very prominent facial bones, or maybe it’s the way his piercing eyes peer out from deep-set sockets. Or, it could be something more sinister. Bulgarian mogul Vasil Bozhkov has amassed an extensive collection of rare Thracian artifacts, offering a glimpse of a little-known ancient civilization which has left no written records. Bozhkov, 61, made his fortune during Bulgaria’s transition from communism to capitalism in 1989. His first company, a currency exchange opened in 1990 in Sofia, quickly expanded into a chain. In 1991, he and two partners formed IGM, a gambling company that started with one casino at the Hotel Rila in Sofia and now has countless sites throughout the city. By the end of that year, Bozhkov had amassed profits so great that he set up a holding company, Nove, which today is comprised of more than 30 businesses with numerous subsidiaries, including the popular Eurofootball lottery. Though it seems an impossible leap to go from owning a handful of currency exchanges to running a multinational empire in a single year, it’s important to note that just after the fall of socialism, a little went a long way. Bozhkov’s rise in Bulgaria was, in some ways, a preview of the wealth a handful of Russian oligarchs would rapidly amass a few years later thanks to a similar transition, after the collapse of the Soviet Union in 1991. “At this time, you could buy a three-bedroom flat in Sofia for $4,000,” explains Lachezar Bogdanov, manager of the Bulgarian economic think tank Industry Watch. “Everything was so cheap that if you had a few million dollars, it was a huge advantage.” And the Skull had more than a few million — in fact, he had a whole bank’s worth of leva. In 1994 he opened the Bulgarian Commercial Industrial Bank, which soon merged with Credit Bank of Multigroup, a savvy move that gave Bozhkov the power to lend himself money through the network of companies under the Nove umbrella. The Skull has strayed far from the Communist ideals of his childhood, enjoying the opulent lifestyle afforded by his billionaire status. 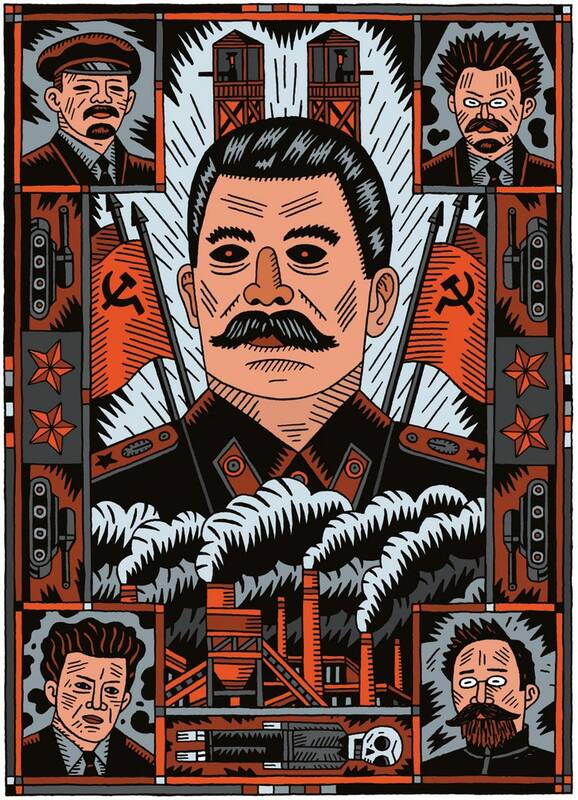 Born in 1956 in Velingrad, Bulgaria, the man who would become the Skull grew up under the totalitarian regime of Todor Zhivkov, a Soviet bloc Communist who ruled his country with an iron fist for 35 years until his ouster in 1989. It was a period when Bulgaria was a reclusive, agrarian country, sheltered from Western capitalist influences — and utterly devoid of the flashy foreign cars driven by designer-clad gangsters that zip through the streets Sofia today. Precisely when and how Bozhkov allegedly entered organized crime is unknown, but according to the report from Ordway, a veteran foreign service officer and former U.S. ambassador, he is “Bulgaria’s most infamous gangster.” And while he has never been brought to court for syndicated crime, another leaked report — this one classified in 2005 by former U.S. ambassador to Bulgaria James Pardew — states: “Bozhkov’s illegal activities include money laundering, privatization fraud, intimidation, extortion and racketeering.” Organized crime in Bulgaria, as detailed in Ordway’s report, is particularly active in international money laundering, drug and human trafficking, counterfeiting and contract killing. Today, the Skull has strayed far from the Communist ideals of his childhood, enjoying the opulent lifestyle afforded by his billionaire status. An avid art collector, he owns hundreds of Roman, Greek and Thracian works of art. In 2011, he loaned artifacts for an exhibition at the National History Museum in Sofia, and to coincide with Bulgaria’s admission into the EU, he was invited to exhibit items from his collection in Brussels. Unfortunately, while Bulgaria boasts some of the richest archaeological sites around, plunderers are known to raid tombs and graves — fueling a black market in ancient treasures that some speculate can be traced to Bozhkov’s extensive collection. It’s a reality that may be inching closer. In 2015, Bulgaria adopted two strategic documents — the National Strategy for Preventing and Countering Corruption 2015-2020 and Strategic Guidelines for the Prevention and Counteraction to Corruption 2015-2020, notes Jasna Panjeta, program and outreach director for the Regional Anti-Corruption Initiative. She believes the Bulgarian government has made it a priority to increase transparency across all public sectors and says the European Commission’s Cooperation and Verification Mechanism will continue to monitor judicial reform and efforts to curtail corruption and organized crime. Not everyone agrees that the Skull’s rise to the top is a clear example of corruption. “It’s the way that the system works,” insists Bogdanov, adding that the “entrepreneurs” who made quick starts out of the gate in the early ’90s exploited the opportunities presented by the regime change and gained a major advantage. Infamous gangster or crafty businessman? We tried asking, but the Skull didn’t respond to our request for an interview. And we left it at that. These were all examples of how making someone’s personal, and sometimes private, information public on the internet led to intense harassment. Today, each of the cases could easily be termed a form of doxxing — short for “dropping documents.” In the last few years, doxxing has increasingly been used as an online weapon to attack people. People’s “documents” — records of their addresses, relatives, finances — get posted online with the implicit or explicit invitation for others to shame or hector them. But while doxxing may seem both creepy and dangerous, there is no single federal law against the practice. Such behavior has to be part of a wider campaign of harassment or stalking for it to be against the law. It was all fascinating and disturbing, and I think leaves people, myself included, with a lot to think about concerning doxxing, its effectiveness and appropriateness both. Reporters, after all, have been doing a form of doxxing for decades. But to hope of thinking clearly about doxxing, it always helps to better understand it and its practitioners. So, how do doxxers dox? They use public records, like property records, tax documents, voter registration databases; they scour social media, real estate websites and even do real-life surveillance to gather information. Then, they publish the information online. Then, there is the matter of doxxing the wrong person. Here’s an example: After the infamous “Unite the Right” protest in Charlottesville, an attendee wearing an “Arkansas engineering” shirt was identified as Kyle Quinn, a professor at the University of Arkansas. Except Kyle Quinn wasn’t in Charlottesville. That didn’t stop the internet, and so when “Kyle Quinn” was doxxed as one of those torch — bearing protesters in Charlottesville, Quinn spent a weekend in hiding due to the amount of online abuse he subsequently received. The real protester, a former engineering student named Andrew M. Dodson, later apologized. In some cases, people doxxed after taking part in white supremacist marches have been arrested, lost their jobs or allegedly been disowned by their families. Other experts question whether doxxing white supremacists is a useful tactic. “Is this an effective means of challenging racist views?” ask Ajay Sandhu and Daniel Marciniak, researchers at the University of Essex in the United Kingdom. They argue that doxxing simply isolates people, forcing them into smaller parts of the internet. “You don’t really challenge them, you allow them to exist in those isolated spaces,” Sandhu says. The short answer is: You probably can’t fully. But we have a few tips that will help make the information you want kept private more secure. Set your profile so it can’t be searched. Set your friends list to private. Set any older content to private, which you can do in bulk. Set all past profile pictures to private. Consider removing your profile picture, or making sure it’s something professional/benign in case it gets copied and pasted elsewhere. Check profile pictures and remove or update these images to make sure it’s something professional/benign in case it gets copied and pasted elsewhere. Check who can follow you and/or see your posts. Check account security settings; like Facebook, each platform has privacy/security settings. Consider making Instagram feeds private, as even un-geotagged photos can provide a lot of useful location information. How strong are your passwords? Where is your email address located out on the internet? Do you want it there? If not, remove your personal email address from personal websites, social media accounts or wherever else it might be. PeopleFinders: Search yourself in any states you’ve lived in and click “This is me” to have it removed. Intelius: You need to scan your ID and scratch out your photo and DL number. Within a few days, they should remove you. Whitepages (non-Premium): Search your name on <a href=”http://whitepages.com” rel=”nofollow”>whitepages.com</a> and copy the URL. Then go to the address linked here and paste it in. You’ll need to give them a phone number and then they call and read you a code. Whitepages Premium: Frustratingly, Whitepages Premium results will still show up for you if you remove yourself from <a href=”http://whitepages.com” rel=”nofollow”>whitepages.com</a>. You’ll need to file a ticket with their support staff, but in our experience they’re pretty quick to remove you. Just search for your name in Whitepages Premium, copy the link, and fill out this form. Spokeo: Much like <a href=”http://whitepages.com” rel=”nofollow”>whitepages.com</a>, search yourself on Spokeo and copy the profile URL. Then paste it into the opt-out form here. BeenVerified: This site is very particular about the spelling and form of names. For example, a search result came up for Kenneth Schwencke but not Ken Schwencke. But once you’ve located your name, or versions of your name, opt out here. Other sites: Once you’ve scrubbed the above listings, it’s a good idea to Google your name and the words “address” or “phone number” and see what comes up. If something does, find a way to manually opt out of each one of those sites. Worth remembering here: Due to the nature of these services, your name might pop back up on them again. It’s worth it to re-check every few months to see if you’re still listed. information for individuals participating in the state’s Address Confidentiality Program for victims of domestic violence and stalking. It’s worth checking with your local or state election authority to see how your state operates. Tips and advice compiled by: Mike Tigas, Ken Schwencke, Jeff Larson, Derek Willis, Julia Angwin and Terry Parris Jr.
President Donald Trump said he had full confidence in U.S. intelligence agencies, indicating that he believed a report earlier this year that concluded Russia meddled in the 2016 presidential election. But he wouldnt say definitively whether he believes the report. This article is co-published with our partners at The Atlantic. 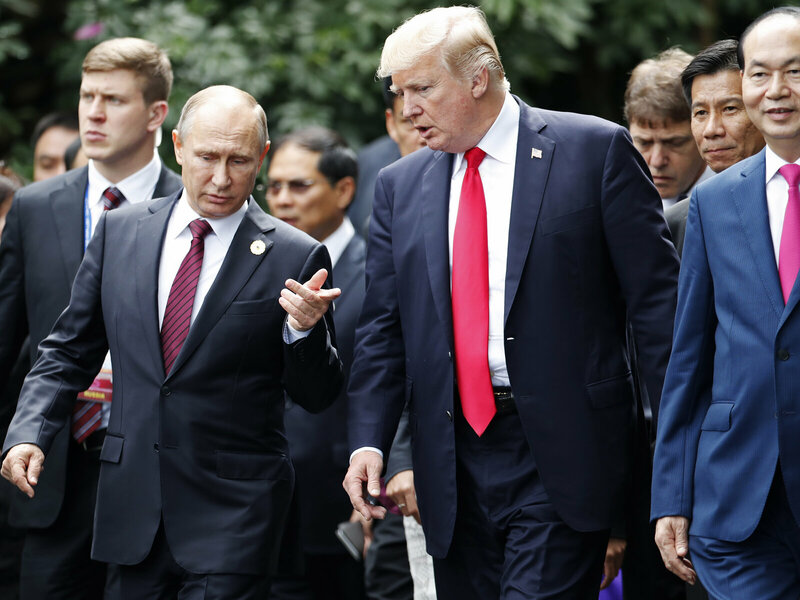 When asked on Saturday about his conversation with Vladimir Putin on the sidelines of the Asia-Pacific economic summit in Vietnam, President Donald Trump reported that the Russian president denied interfering in the 2016 U.S. presidential election. That, of course, directly contradicts the conclusions of the U.S. intelligence community. “Every time [Putin] sees me he says, ‘I didn’t do that,’ and I really believe that when he tells me that, he means it,” Trump said. The next day, in confusing fashion, he walked back parts of his earlier statement, saying he believes “in our intel agencies.” (Regarding what, exactly, he left unclear). But he also seemingly doubled down on his previous assertion. “I believe that [Putin] feels that he and Russia did not meddle in the election,” Trump said. Trump went on to say he hopes to cooperate with Russia to solve global problems like North Korea and Syria. But if he does in fact seek such help, based on the false premise of Putin’s sincerity, that’s bad news. Putin is a world-class liar—indeed, he’s professionally trained in the art of deception. He grew up in the Soviet KGB, ran Russia’s brutal internal security service, and has remade the government into a personal fiefdom. He now serves as an unchallenged autocrat. Analysts assess that he is one of the wealthiest individuals in the world, despite his modest claim that his official salary is less than $200,000 a year. Inside Russia, truth and falsehood are purposely clouded so that Putin can create facts serving his own interests and those of his coterie. Truth is only what he says it is, at the time of his choosing. The same truth may well be denied the following day. And conveyers of real truth, including dissidents and reporters, are eliminated. Putin seems to regard his capacity to assert obvious lies as truth as an exertion of his power. Immediately following the shoot-down of a Malaysian airliner in which 298 civilians were killed, he lied about the circumstances that led to their murder. He denied the illegal use of chemical weapons by his allies in Syria. He lied about the Russian invasion of Crimea and the use of Russian soldiers in eastern Ukraine, and he covered up the secret state-sponsored doping of Russian athletes. In each case, his deceit has been revealed. Yet he has doubled down on his rendering of the truth, remaining steadfast no matter how ridiculous he appears. Let’s put Putin’s most-recent denial of interference in the U.S. election in context. It came only a day after Spain’s defense minister announced that Russian hackers had sought to purposely damage his country by inflaming the issue of Catalonian independence. France, Germany, Estonia, Sweden, Poland, and Hungary, to name a few, have also uncovered dedicated Russian efforts to interfere in their political processes. Russian intelligence operatives have supported violent and far-right wing groups in Europe, and even attempted a coup and assassination attempt in Montenegro. Russia may well have also been involved in efforts to promote Britain’s exit from the European Union. This weekend’s lie hits closer to home. In the U.S. intelligence community’s assessment that Russia deliberately interfered in last year’s presidential election, it concluded that Putin himself ordered the attack, and that his goals included helping Trump and hurting Hillary Clinton. In recent weeks, executives from Facebook, Twitter, and Google have testified before Congress about Russian infiltration of their platforms to interfere in the election. Moscow’s misattributed advertisements and fake social-media accounts were seen by millions. Putin’s agents were even able to foment protests in the U.S. from their desks in Russia. To say the least, Trump’s willingness to accept Putin’s blatant lies does not reflect well on him. Setting aside the concern that his acceptance may well be a cynical means of protecting himself from allegations of collusion, trusting Putin over America’s intelligence professionals is a stinging rebuke to those dedicated public servants who work diligently to provide him with the best information available. Trump can’t have it both ways. He can’t claim to side with his intelligence agencies while also accepting Putin’s contention that Russia did not interfere in the election. Trump, in his half-hearted attempt to backtrack on Sunday, couldn’t seem to bring himself to complete the sentence: I believe in our intelligence agencies’ conclusion that the Russia government interfered in the election. Why’s that so hard to say? On the same Saturday afternoon that Trump reiterated his faith in Putin, he called former FBI director James Comey a proven “liar” and “leaker,” and former intelligence chief James Clapper and CIA director John Brennan “political hacks.” Putting aside one’s personal feelings about their records, they were life-long public servants who sought to provide non-partisan support to the Republican and Democratic presidents they served. In his backpedaling on Sunday, Mr. Trump did not veer far from those insults. “As currently led by fine people, I believe very much in our intelligence agencies,” and “I’m with our agencies, especially as currently constituted with their leadership.” His affirmation followed CIA Director Mike Pompeo’s statement that he stands by the intelligence community conclusions on Russian interference. For those most worried about Trump’s casual use of lies for his own tactical benefit, it is the reality of Russia that is most frightening. It did not take long for Putin to weaken the elements of civil society and centralize power, creating an Alice in Wonderland political atmosphere where up can be down, and down can be up depending on his whim. Certainly, America’s institutions are stronger than Russia’s, and it is unlikely that Trump possesses Putin’s savvy. Nonetheless, the defiling of the truth and attacks on this country’s vital institutions are taking a toll and weakening America’s defenses. 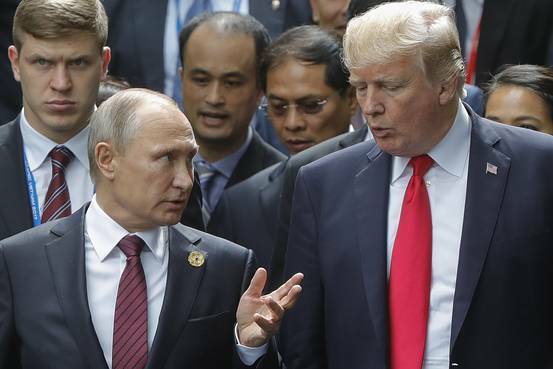 Mixed statements from President Trump during his Asia trip drew criticisms at home Sunday, particularly over Russian President Vladimir Putin’s claims that his country didn’t meddle in the 2016 U.S. Elections. On CNN’s State of the Union, former CIA director John Brennan criticized comments Trump made after meeting Putin during the Asia Pacific economic summit in Vietnam in which the president said he believed Putin was “sincere” in his belief that Russia did not interfere in last year’s elections. “It demonstrates to Mr. Putin that Donald Trump can be played by foreign leaders who are going to appeal to his ego and try to play upon his insecurities, which is very worrisome from a national security standpoint,” Brennan told CNN’s Jake Tapper. Appearing alongside Brennan, former Director of National Intelligence James Clapper said Russia “posed” a threat that is “manifest and obvious,” and echoed concerns about the president’s reputation among foreign leaders. “I do think both the Chinese and the Russians think they can play him,” Clapper said. Earlier that day, Trump had told reporters that both Clapper and Brennan, along with fired FBI director James Comey, were “political hacks.” Trump has continually insisted the investigation into Russia meddling is politically motivated, often calling it a witch hunt. ” ‘He said he absolutely did not meddle in our election, he did not do what they are saying he did,’ Trump added. “Later on Sunday in Hanoi, and after receiving criticism for his remarks, Trump was asked for clarification on the topic. Trump responded that he agrees with U.S. intelligence agencies that Russia interfered in last year’s election. Scott goes on to report that a statement from the U.S. State Department says conversations between the two leaders were focused on Syria and defeating ISIS there. Two former US intelligence chiefs have said Donald Trump poses “a peril” to the US because he is vulnerable to being “played” by Russia, after the president said on Saturday he believed Vladimir Putin’s denials of Russian interference in the 2016 election.